I’m on a personal mission to communicate the vitality of Commitment in Small Groups. Commitment is the key to authentic community, real discipleship, the bearing of lasting fruit, carrying out Christ’s mission, and multiplication. One of the places I see this lack of commitment most obviously inflicting small groups is in the frequency of group meetings. This being said, I believe small groups are much more than just meetings. Nearly all the “one anothers” found in the New Testament can be accomplished, and may even be better accomplished, outside of official meeting times. Yet the gathering is when we huddle to wrestle with God’s Word together, set goals, make plans, and so much more. Leader: My group has been meeting weekly, but the group now wants to meet every other week instead. Leader: They feel like they just can’t commit to meeting weekly. They say they’ll be more committed if we meet biweekly. Me: So they think they can be more committed by being less committed? Leader (chuckling): Yeah, something like that. I can’t count the number of groups who have decided to meet less often in order to be more committed. I can, however, count the number of groups this has worked for: 0. Lowering your commitment will not increase your commitment. It will not help you become more devoted to authentic community, real discipleship, overflowing missional life, growth, fruit-bearing, or multiplication. Let’s look at the research. 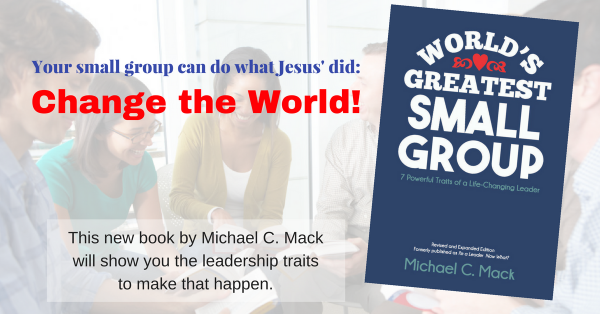 Jim Egli discovered that “groups that meet weekly experience dramatically more health and growth than groups that meet every other week” (Jim Egli and Dwight Marable, Small Groups, Big Impact [ChurchSmart Resources, 2011], 65, 66). What Jim has proven quantitatively, I and many others have observed firsthand with leaders and in churches. Meeting biweekly (or not meeting over the summer or during the holidays, for instance) does not lead to a better group experience. Most often I’ve watched these groups become even less committed over time, people stop attending, the group struggles to survive, and finally the group stops meeting altogether. Joel Comiskey and I were recently discussing the tendency of many American groups to meet every other week and he asked an interesting question: Does this reflect a lack of interest in the U.S.? Perhaps the problem is that our pastors and small group leaders do not have the wherewithal of Jesus to hold commitment and cost up high and let uncommitted people walk away. There was a dailiness to the early church–the church that grew and grew and changed the world (see, for instance, Acts 2:46-47; 5:42; 16:5; Hebrews 3:13). I want to move more toward the functioning of that church, a church that was devoted to Jesus and one another … every day, not just once every other week.